On June 23, 1985 Air India Flight 182 went down in Irish airspace killing all 329 people. It is believed that a bomb exploded on the plane. 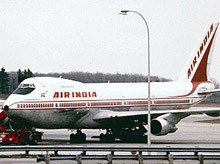 R.J. Waldron & Co’s aviation investigation skills were enlisted to find evidence into the cause of the Air India plane crash. 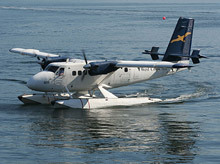 On September 2, 1978 an Air West de Havilland DHC-6 Twin Otter crashed into a marine on the waterfront in Vancouver, BC. The investigative work conducted by Dr. R.J. Waldron led to the determination of a flap rod failure having caused the accident. 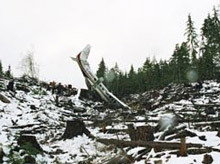 On October 30, 1997, while conducting heli-logging operations, a Boeing BV-234 was destroyed when it crashed into a narrow gully near Comox Lake British Columbia. The investigation conducted by R.J Waldron & Co. concluded that a failure of an integrated circuit within the automatic flight control system resulted in a sudden and uncommanded right yaw hard-over. 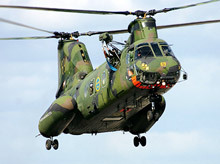 On March 5 2007 a Kawasaki KV107, operated by the Government of the Kingdom of Saudi Arabia, crashed into the desert, fatally injuring all on board and a severe post-crash fire ensued. R.J. Waldron & Co conducted a full investigation on behalf of the Saudi Government to determine the cause of this helicopter crash. 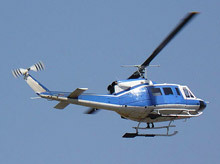 On December 3, 1999 a Maldivian Air Taxi Bell 212 crashed at sea shortly after takeoff from a helicopter pad at the Hilton Hotel, Rangali Island, Republic of the Maldives. R.J. Waldron & Co participated in the onsite and laboratory examinations as well as the resulting litigation process. 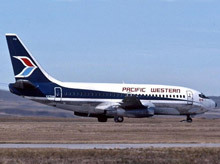 On March 22, 1984 a Pacific Western Airlines Boeing 737-275 suffered an uncontained rupture of the left engine thirteenth stage compressor disc approximately 1,300 feet into the take-off roll. RJ Waldron & Co participated in the onsite investigation, engine teardown, laboratory examination and testing, as well as the resulting litigation process. 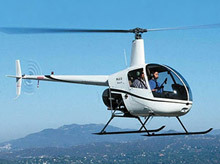 On August 13, 2004 a privately owned v crashed into McIvor lake, British Columbia. 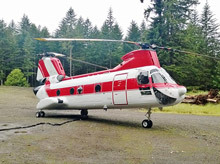 The investigation conducted by R.J. Waldron & Co revealed that the helicopters v-belt drive system had failed in-flight as a result of improper maintenance. R.J. Waldron & Co also provided technical support for the ensuing litigation. On April 29, 2008 a SonicBlue Cessna 208 crashed in mountainous terrain after a complete loss of power occurred due to a turbine blade failure. R.J. Waldron participated in the engine teardown, laboratory examination and testing, the determination of the cause for the turbine blade failure and many other aspects of the investigation, including the ensuing litigation.